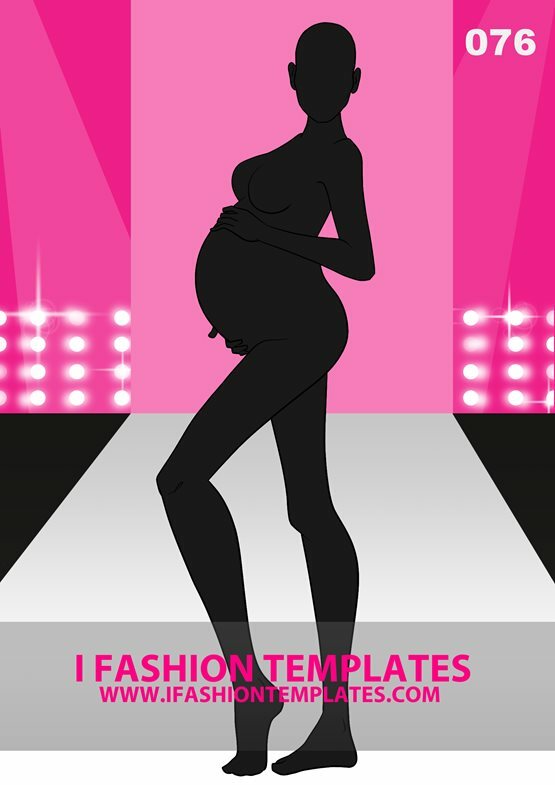 Use this maternity profile to create designs of trousers with wide legs or dresses with slit. This beautiful template is also suitable for long raincoats or winter jackets and coats. You can also design on it combination between polo and jeans. Fashion Template 028 is another flirty side view pose of a model and her umbrella. This template will showcase beautifully short and long pants. Use it to add atmosphere to your autumn/winter collections. So what it would be - a raincoat, jacket + pants or an amazing dress? Often times when designing swimsuits and underwear designers don't need the whole fashion figure to show up. What matters is the scale of the details. This close up female figure is ideal for designing lingerie and swimwear collections. 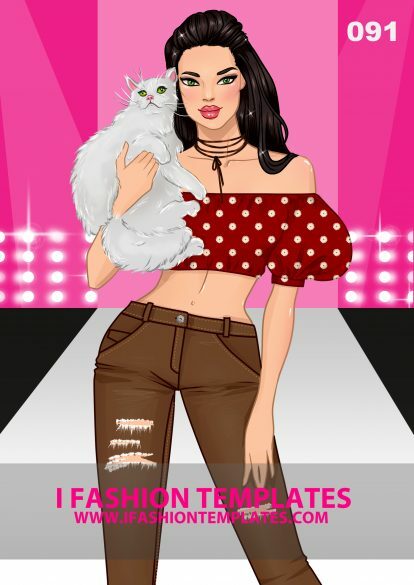 The classic front view pose will put focus on the idea instead of on the model's legs.